Catrin is a Research Fellow in pharmacoeconomics at the Centre for Health Economics and Medicines Evaluation, with a background in mathematics and computing. Her main research focus and interests include cost effectiveness modelling and methodology. 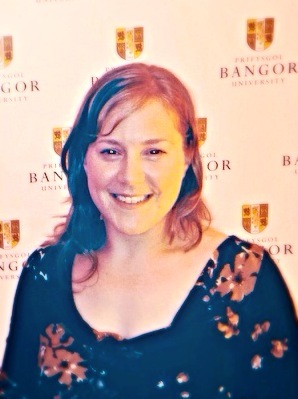 Catrin holds an MMath degree and an MSc in Computer Systems from the University of Wales, Bangor, and completed her PhD on classification methods for fMRI data in 2011. Catrin joined CHEME in 2010 as a Research Officer in Medical Statistics. Initial projects were the European funded FP7 adherence to medications ‘ABC’ project where she was responsible for developing methodology to handle missing survey data, and a discrete choice experiment study of preferences for Stroke services in North Wales. Since then Catrin has worked on several economic modelling projects in the area of Epilepsy, including models of pharmacogenetic testing prior to initiation of Carbamazepine, of an adherence enhancing intervention, and of generic versus branded prescribing. As part of her work on epilepsy Catrin also works on the Standard and New Antiepileptic Drug 2 (SANAD2) randomised controlled trial. Catrin provides support and advice to other team members on statistical and methodological aspects of their projects, and is a health economics frontline advisor to the North West Research Design Service (RDS-NW). Lötsch F, Hackenberg LA, Groger M, Rehman K, Morrison V, Holmes E, Parveen S, Plumpton C, Clyne W, de Geest S, Dobbels F, Vrijens B, Kardas P, Hughes D, Ramharter M. Adherence of patients to long-term medication: A cross sectional study of antihypertensive regimens in Austria. Winer Klinische Wochenschrift 2015. Morrison VL, Holmes EAF, Parveen S, Plumpton C, Clyne W, De Geest S, Dobbels F, Vrijens B, Kardas P, Hughes D. Predictors of self-reported adherence to antihypertensive medicines: A multi-national, cross-sectional survey. Value in Health 2015, 18: 206-216. Morrison V, Parveen S, Fargher E, Plumpton C, Hughes D. A multi-national survey of non-adherence by patients prescribed medication for hypertension. International Journal of Behavioural Medicine 2012, 19(Suppl 1):S318. Plumpton CO, Hughes DA, White IR. Multiple Imputation Techniques for Survey Data with Multiple Rating Scales Value in Health 2013; 16(7): A611. Plumpton CO, Yip V, Alfirevic A, Marson A, et al. Cost Effectiveness of Pharmacogenetic Screening Prior to Initiation of Carbamazepine Treatment for Epilepsy Value in Health 2013; 16(7): A624. Fargher EA, Plumpton CO, Roberts GW, Owen H, Burton CR. User Preferences for Stroke Services in Wales. Value in Health 2013; 16(7): A534. Fargher EA, Morrison V, Plumpton CO, Hughes DA. Persistence with Medications : A Discrete Choice Experiment of Preferences Among Hypertensive Patients. Value in Health 2013; 16(7): A352. Fargher EA, Morrison V, Plumpton CO, Hughes DA. Application of Behavioural Economics to the Understanding of Adherence: Does an Individual ’s Time Preference Influence Adherence to Medications? Value in Health 2013; 16(7): A327. Plumpton CO, Kuncheva LI, Linden DEJ, Johnston SJ. Online fMRI classification using linear and ensemble classifiers. In Proceedings Pattern Recognition (ICPR), 20th International Conference on. 4312-4315, 2010. Plumpton CO. On-line Linear Discriminant Classifier and its Application to Delayed Labelling, MSc Thesis. VDM Verlag, 2009. Kuncheva LI, Plumpton CO. Adaptive learning rate for online linear discriminant classifiers. In Proc. Joint IAPR International Workshops on Structural and Syntactic Pattern Recognition and Statistical Techniques in Pattern Recognition S+SSPR, pages 510-519, Orlando, Florida, USA, 2008. Online Semi-Supervised Ensemble Updates for fMRI Data. IAPR TC3 Workshop, Partially Supervised Learning. Ulm, Germany, September 2011. Published in Proceedings LCNS, Partially Supervised Learning. Eds Friedhelm Schwenker, and Edmondo Trentin. 7081: 8-18, 2012.